Input power 70W (100-120v). Model MUSTANG I. One corner has a slight tear and scruff, looks like paint speckles on it as well, other than that in excellent condition! 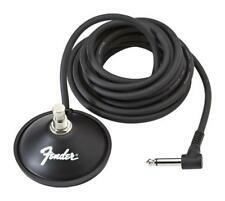 Updated version of Fender's popular Mustang modeling amplifier. Type: Digital Modeling Combo. Fender Mustang GT 100 Digital Combo Features Powerful looper function via the optional Fender Mustang GT footswitch. Ready/easy reference source for any Fender Mustang IIIv1 user. However you will need to check that for yourself in the latter two cases before considering buying this guide. I have bought, used and sold an enormous range of stuff over recent years. Compatible con los siguientes P/N: Fender 099-4049-000;. Pedal simple. HQRP® botón pedal;. Compatible P/N Fender 099-4049-000. Type Single Button Footswitch. Nos esforzamos para ser un vendedor estrella cinco en cada área de la calificación de vendedor detallado. Fender FM / Mustang / ampères Blues Junior. Compatible avec les suivants P/N: Fender 099-4049-000 ;. Il est conçu pour la plupart des amplis de guitare avec marche / arrêt fonction de commutation. Compatible P/N Fender 099-4049-000. Single Button Footswitch. 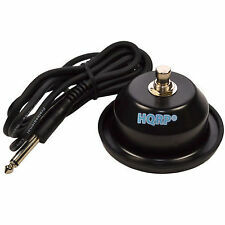 HQRP® Single Button Footswitch;. 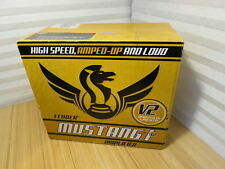 Compatible with following P/N: Fender 099-4049-000;. Cable Length: 6 ft;. Thewarranty and the technical support - You can always turn to us for qualified help;. Einzigen Tastendruck Fußschalter. HQRP® Tastendruck Fußschalter;. 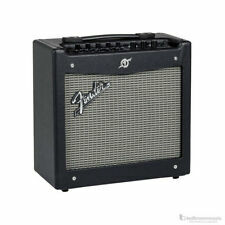 Fender FM, Mustang, Blues Junior Ampere 099-4049-000 Ersatz. Wir beantworten Ihren Brief während diese Arbeitszeiten. Fender FM / Mustang / Blues Junior Ampere. Fender Mustang LT25 25W 1x8 Combo Guitar Amplifier - New !! It’s ideal for beginners and students, with a super-simple user interface and a collection of 30 presets covering a wide range of music—a “greatest hits” of electric guitar tones. - Single 8” Fender Special Design guitar speaker. Since, Fender amplifiers have and continue to be an integral part of modern music. Add in 24 on board effects presets, an on-board chromatic tuner, USB connectivity and the result is much more than any other amp all in one box!